Ready to practice. Prepared to lead. Since long before law schools across the country adopted the term “practice-ready,” Baylor Law’s rigorous program has equipped students with the problem-solving techniques, and practical, hands-on lawyering skills and character development necessary for success in the workplace and in life. Centrally located in Waco, Texas, in a beautiful facility on the banks of the Brazos River, Baylor Law is by choice one of the smallest law schools in the nation. 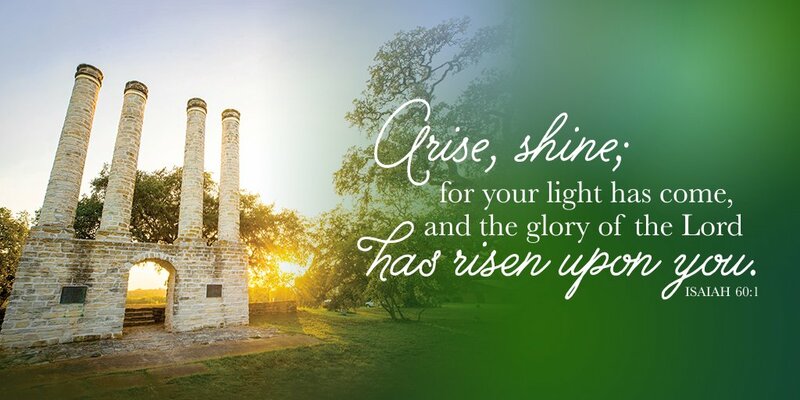 Since 1857, Baylor Law combines theory with practice throughout the curriculum and cultivates a commitment to service and responsibility in the community. Our unwavering dedication to professional excellence propels Baylor Lawyers to success in courtrooms, boardrooms, and communities all over the world. Prospective Students Apply Online Today. 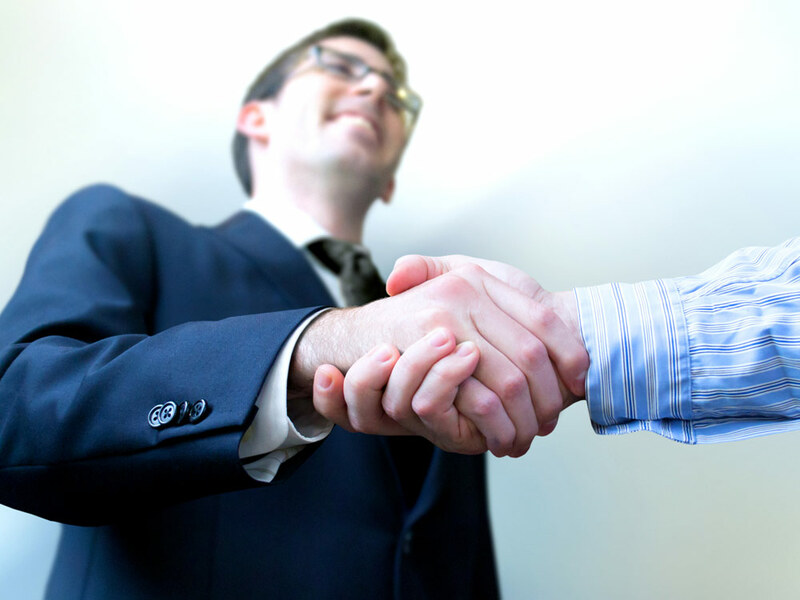 Employers Hire Baylor Lawyers. Baylor Lawyers Stay connected. 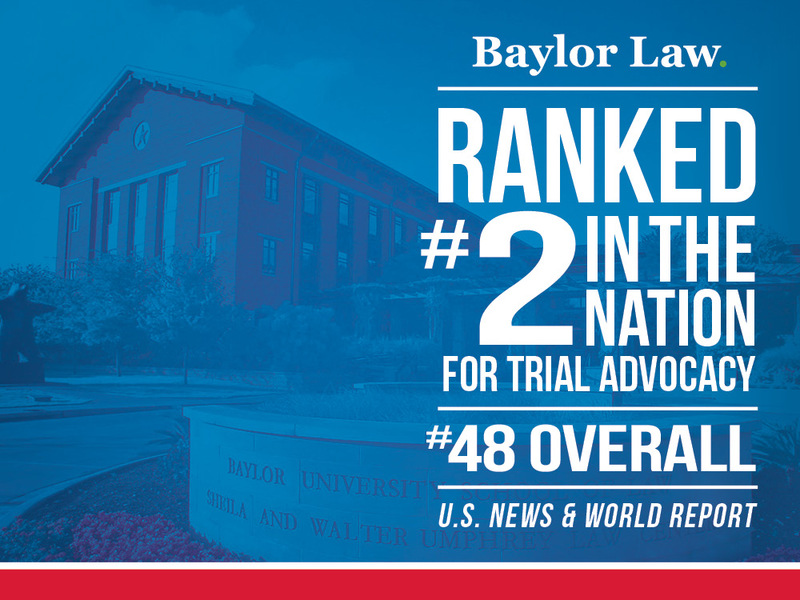 Baylor Law Rises in 2019 U.S. News Law School RankingsBaylor Law is now ranked #2 in Trial Advocacy and #48 within the "Top 50" in U.S. News & World Report's 2019 edition of "America's Best Graduate Schools." This marks the second consecutive year of ascent for Baylor Law, the only Texas law school to achieve this goal. 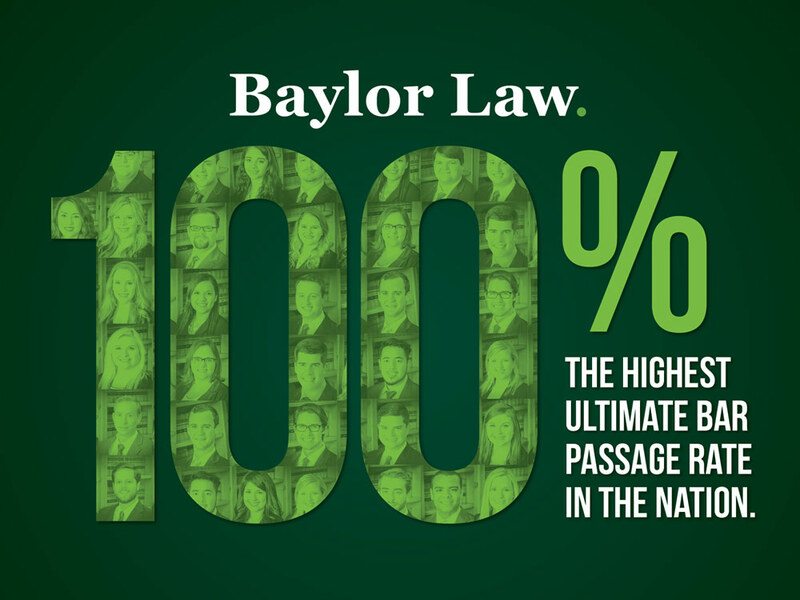 Baylor Law Earns Highest Ultimate Bar Passage Rate in the U.S.100% of Baylor Law's 2015 graduates passed the bar exam within two years of graduation, the highest rate of all 204 ABA-approved law schools, according to the Managing Director's Office of the ABA Section of Legal Education and Admissions to the Bar. Baylor Law Ranks #18 in 2017 Law School Graduates Hiring ReportLaw.com has released its analysis of American Bar Association data on graduate employment, and Baylor Law ranks at #18 in the nation, and #1 among all Texas law schools, for full-time employment in what is considered the "gold standard" category of positions requiring a bar license. Baylor Law Announces New Endowed Chair in Business and Transactional LawBaylor Law has announced the creation of the M. Stephen and Alyce A. Beard Chair in Business and Transactional Law that will be funded through a generous gift from M. Stephen (B.B.A. '71, J.D. '73) and Alyce A. Beard (B.A. '70). 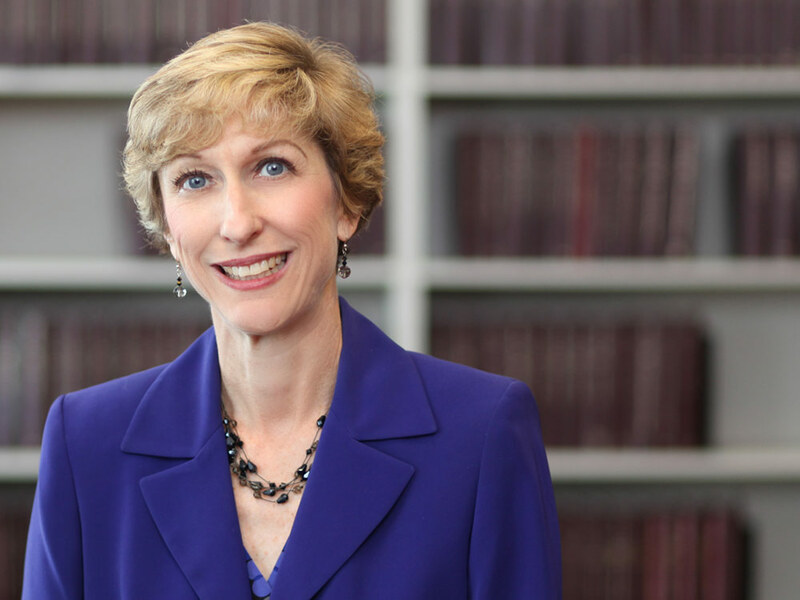 Baylor Law professor and leading national scholar and expert in business organizations law, Elizabeth Miller, has been named the chair's inaugural holder. 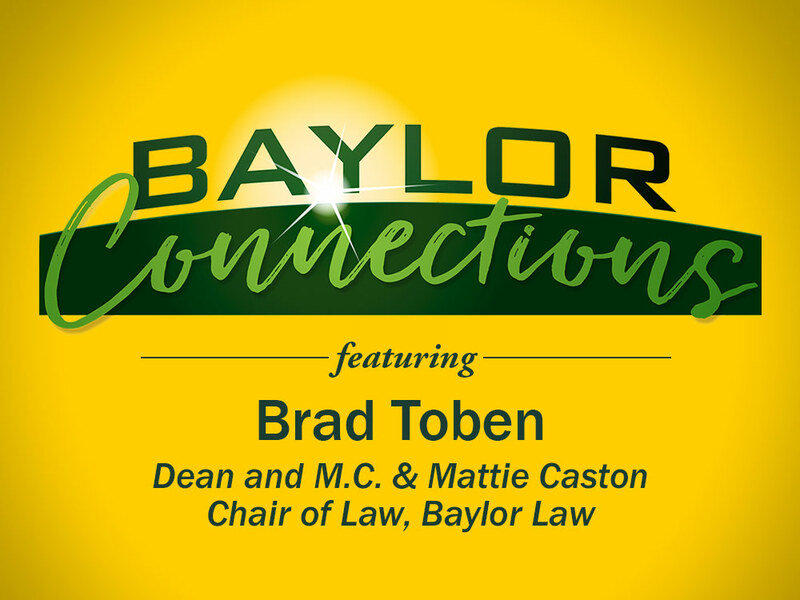 Baylor Law Dean Featured on KWBU-FM Radio ShowBaylor Law Dean Brad Toben shares the many ways law students at Baylor Law give their time and talents, partner with others in the community, and live out the call to serve through a variety of law clinics and outreach programs. A leading voice in the national conversation for legal education, Baylor Law continues to set the pace as one of the premiere teaching law schools for future practitioners. Check out the latest headlines highlighting Baylor Law, its alumni, faculty, staff, and students. Baylor Law Advocacy Team Sweeps ABA’s National Appellate Advocacy Competition Apr. 17, 2019 In a unanimous final-round decision, the Baylor Law team of Kyle Gardner, Haley Mowdy and Kyle Stone won the 2019 National Championship of the American Bar Association's National Appellate Advocacy Competition (NAAC), the largest moot court competition in the nation. Baylor Lawyer Joe B. Allen (J.D. ‘67) Honored with Wild Life Award by Houston Wilderness Apr. 15, 2019 Baylor Lawyer Joe B. Allen (J.D. ´67) was honored in February by the non-profit coalition Houston Wilderness with its 2019 Wild Life Award – Environmental Legacies for his tireless efforts using his legal expertise in wilderness protection. Tom Featherston Appointed to Uniform Law Commission Apr. 10, 2019 The American Bar Association’s (ABA) Section of Real Property, Trust and Estate Law has appointed trust, estate, and marital property law expert and Professor of Law Thomas M. (Tom) Featherston, Jr. as an advisor to the drafting committee charged with revising the Disposition of Community Property Rights at Death Act. Governor Abbott Appoints Recent Baylor Law Graduate as District Attorney for the 355th Judicial District Apr. 9, 2019 Texas Governor Greg Abbott has appointed Baylor Lawyer Ryan Sinclair (J.D. ‘16) as District Attorney for the 355th Judicial District in Hood County to succeed retiring District Attorney Rob Christian. 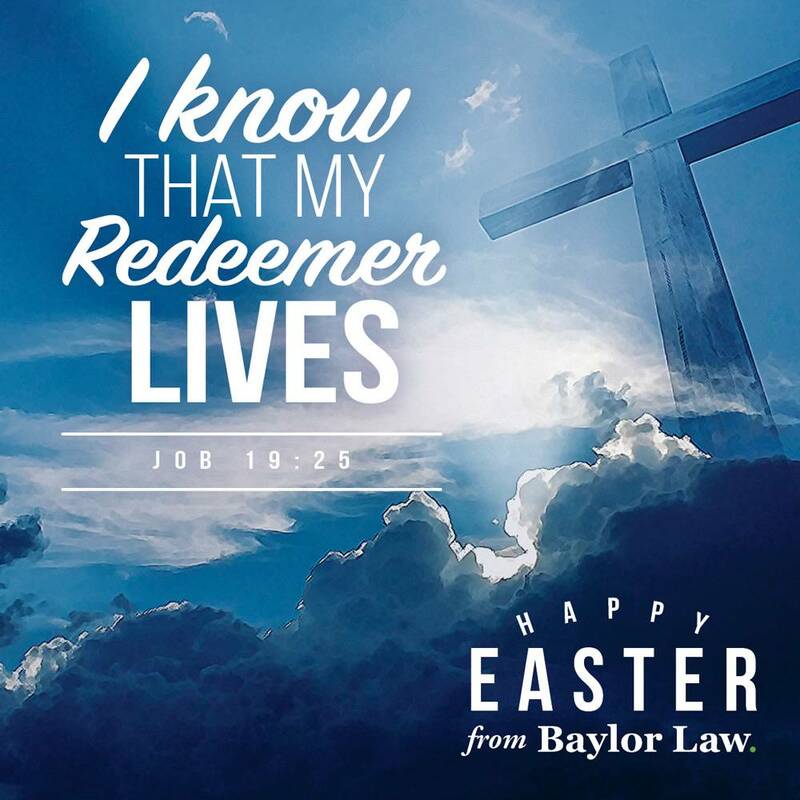 Baylor Law wishes you a very happy Easter! 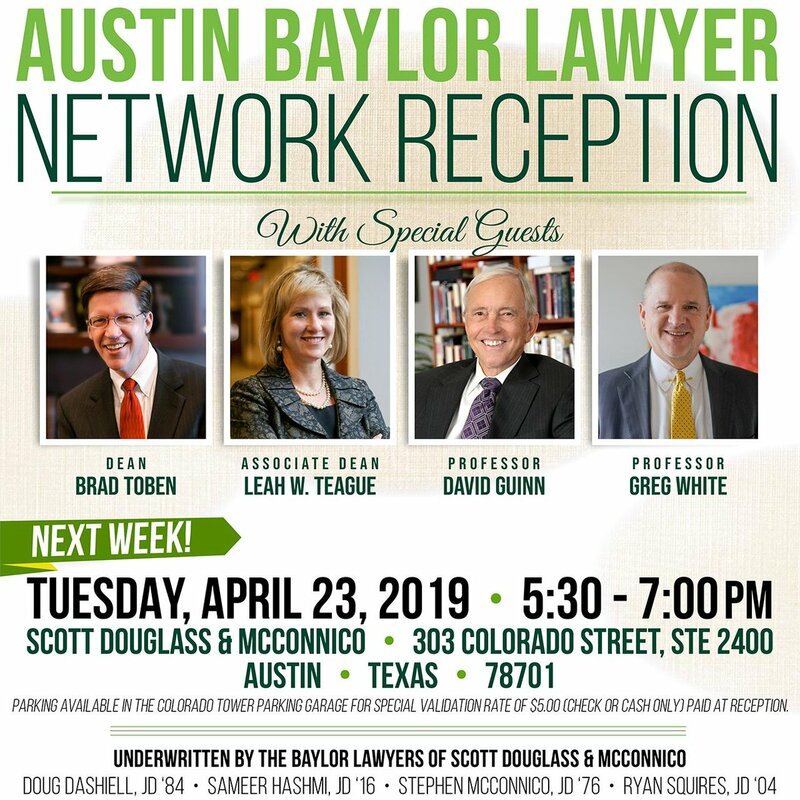 Austin Baylor Lawyers - - Don't forget that NEXT WEEK (4/23) is the Network Reception at Scott Douglass & McConnico. Deans Toben & Teague will there - along with Profs Guinn & White. Don't miss out! !